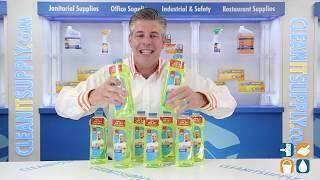 This all purpose, antibacterial cleaner cuts through grease and grime, removing soils with ease. 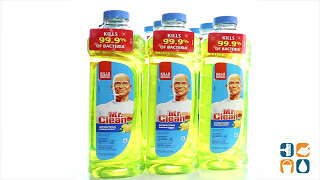 Mr. Clean can be used to clean linoleum, tile floors, toilets & bathtubs, killing 99% of bacteria as you clean. Also tackles outside jobs like siding, exterior doors and more. Summer citrus fragrance. With 9 - 24-oz. bottles per carton you can stock up and save! Call today to order!